TH’s Group MD announced that an SPV will take over its non-performing assets and rehabilitate them. It will issue RM10 billion sukuk and RM9.9 billion Islamic Redeemable Convertible Preference Shares (RCPS) to fund the exercise. What are RCPS? Redeemable means the pref share holder can ask the SPV to pay back the value of the shares in cash. Convertible means it can be converted into ordinary shares in the SPV. But what is Islamic RCPS? Are pref shares shariah-compliant? Pref shares are normally issued to give priority in dividend payments compared to ordinary shares. If there is just so much money to pay dividends, the pref shareholder gets paid first and up to the amount agreed. The balance is then given to ordinary shareholders. In effect, ordinary shareholders “tanazul” their profit, which is accetable. If the SPV gets into trouble and is liquidated, who gets paid first? If it is the pref shareholder, then it is not Shariah-compliant. You cannot tanazul losses. Both pref share and ord shareholders are co-investors in the SPV and must share in the losses proportionately according to their capital contribution. Today, the Minister in the PM’s Department confirmed that there is a RM4.1 billion shortfall in Tabung Haji. More worryingly, the problem is getting worse. A PwC audit also revealed that financial engineering was used to enable dividends to be paid. TH management sold TH’s shares in Bank Islam Malaysia Berhad for RM2,551 million to realise a profit of RM553 million. They then bought back the same shares for RM2,688 million, incurring brokerage fees. The transaction lost RM137 million for the fund. So in order to justify the dividend payments, TH did not mind losing more of the depositors’ money. This financial engineering was not disclosed in their financial statements. TH also got their subsidiaries to declare dividends of RM510 million to boost up their profit but RM222 million remains unpaid, probably because the high dividend value is not sustainable. The Cabinet has approved the setting up of an SPV to park and rehabilitate TH’s assets. The question is can the assets be turned around or there are more write-downs in the future. The “best” news is that TH will now come under the supervision of Bank Negara to ensure a more prudential management of the fund and depositors’ money. Let’s hope there are no more such happenings going forward. The following is based on what has been reported but yet to be confirmed by Lembaga Tabung Haji. TH’s assets are short of RM4 billion compared to their liabilities (depositors’ money) in 2016. It’s now the end of 2018. Is the shortfall bigger? The 2017 accounts are not out. Another report says that every RM1 of deposit is only backed by 80 sen of assets, a huge 20% capital loss! It was also said that the accounts were faked to allow TH to pay dividends prior to GE14. The Tabung Haji Act requires its assets to be more than its liabilities before it can pay dividends. (Naturally! Otherwise, it is a Ponzi scheme of using capital to pay dividends). To allow LTH to pay dividends again, it must increase its asset value. How? Apparently, there is a scheme to set up an SPV. Get the SPV to buy the assets from LTH at book value. Voila! LTH can continue to pay dividends. But is this prudent? The problem hasn’t gone away, has it? The SPV is to raise sukuk to buy the assets at an expensive price. How to service the sukuk? Another Government guarantee? TH depositors’ money is already guaranteed by the Government. Service financing obligations, pay dividends. Where is the money to come from? How did it become so bad? How do you analyse stocks? There are two main types of analysis, namely fundamental analysis and technical analysis. The fundamental analysis assesses the intrinsic value of a stock by examining all factors which can affect the security value. These include macroeconomic (e.g. the economy and industry) and microeconomic factors (e.g. financial performance, management). The objective is to arrive at a value that an investor can compare with its current price. Undervalued? Buy. Overvalued? Sell. Fundamental analysis focuses on the company’s financial statements. It uses revenue, earnings, future growth, ROE, profit margins and other data to determine a company’s underlying value and potential for growth. One of the most famous and successful fundamental analysts is Warren Buffett. Technical analysis focuses on price movement patterns, trading signals and other analytical charting tools to evaluate a security’s strength or weakness. 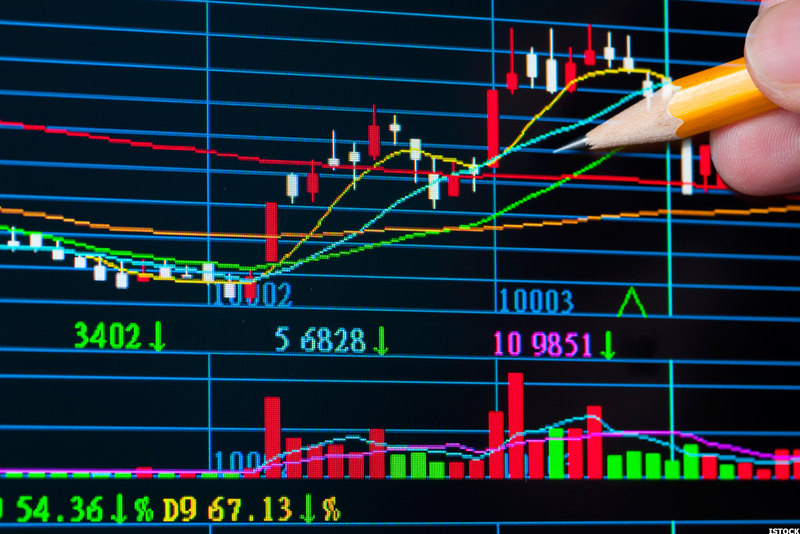 Generally, people will use chart pattern software with indicators such as MACD, Bollinger Band, RSI, EMA and others. The indicator used is up to the user’s preference as there are many indicators available. People who use technical analysts are also referred to as chartists. Our Prime Minister managed to secure the Japanese Government’s agreement to guarantee a 10-year bond issuance of up to ¥200bil. The guarantor will be JBIC and the indicative coupon rate is 0.65%. There is no information on the indicative yield. While some people in the market have been analyzing and commenting on the coupon rate, remember that it is the yield which is the actual cost of borrowing. That was how Goldman Sachs managed to make such an exorbitant profit on the 1MDB bonds. In addition to the yield, there is also the question of foreign exchange movements on the final cost. All bond obligations (coupon and nominal value repayment) are in Yen. Remember how companies which issued Samurai bonds, Yankee bonds and Euro bonds were almost wiped out from Ringgit’s plunge during the 1997 economic crisis? However, we do not yet know whether hedging will be done to mitigate the forex risk. In any case, it was an achievement to obtain the Japanese Government’s agreement on the Samurai bonds as it also signified to the world at large their confidence in the Malaysian economy. Samurai bonds = issued in Yen, Yankee bonds = issued in USD, Euro bonds = issued in Euros. What developer would participate in a scheme where he may receive only 80% of the house price? Probably one who has unsold units. If it is an unsold unit (other than due to market conditions reason), can it be easily sold in 5 years’ time? What is the probability of it appreciating? Another scenario is, in order to recover the 20% upfront, will there be an incentive for the developer to mark up the house price? In (3), we concluded that HB will have to fork out more money to own the house if it appreciates. This is a bigger burden compared to a mortgage where the HB enjoys the appreciation in full without any additional liabilities. What if the house depreciates? What is the order of priority to suffer the loss – HB, developer and investors? 1. The developer suffers the first loss (from the 20% he did not receive when the house was sold). 2. HB is next, up to the equity he has put in (20% of the original house value). 3. Lastly is the investors. Although the HB has to absorb all the depreciation in a mortgage, he is not under threat of compulsory loss realisation (he has to sell the house if he cannot raise the refinancing amount in Year 5) as per the FMH scheme. He can opt to just stay in the house, which is what home ownership is, in the first place. 3. HB is responsible for all 3rd party charges (eg. valuer, FMH platform? legal, trustee –may needed if there’re multiple investors). These charges should be higher than a normal mortgage as there are more third parties and more steps. FMH put that at 4% of the house price. Note the upfront 2% booking fee. 4. 6 months before the 5th anniversary, the house is valued. HB has to decide – sell or refinance? The developer gets 1st bite of any capital appreciation up to the original 20% of the house price (remember, he hasn’t been paid his 20%). The refinancing is at the new house value, meaning, if the house appreciates, HB has to fork out more. And, has HB’s credit standing improved enough in Year 5 to support a higher loan? Day 0: House price RM300k. Year 5: Value is RM360k. Amount to refinance: RM300k. Remember that on Day 0, HB paid RM60k, investors RM240k. But at Year 5, HB has to pay RM300k to refinance. 5. If the property can’t be sold before the 5th anniversary, HB has to pay a rental yield of 5% (on new market value). This is very high. And open-ended until presumably a buyer can be found at the valuation price. Should a home buyer (HB) get onboard? 1. The HB pays 20% upfront and nothing else for 5 years. FMH says the HB can spend or invest the money which he would otherwise have to pay under a normal mortgage. If it is the lower income group, this money is likely to be spent. Come Year 5, how is he going to refinance the FMH scheme which is even higher than before (to be covered later based on FMH’s own table in their website). Prudent? This mirrors the Collateralised Debt Obligations (CDO) issuances in Malaysia where most CDO bonds defaulted. Participants (corporate borrowers) were given loans without a specific purpose and only had to pay back on maturity (normally at Year 5). So the borrowers spent indiscriminately. Should a home owner, investor and developer go for the scheme? As Tun said, the proof of the pudding is in the eating. Symphony has reviewed the scheme from publicly available information and FundMyHome’s website. This is our opinion. Do note that there are still a lot of unanswered questions which may change our opinion. 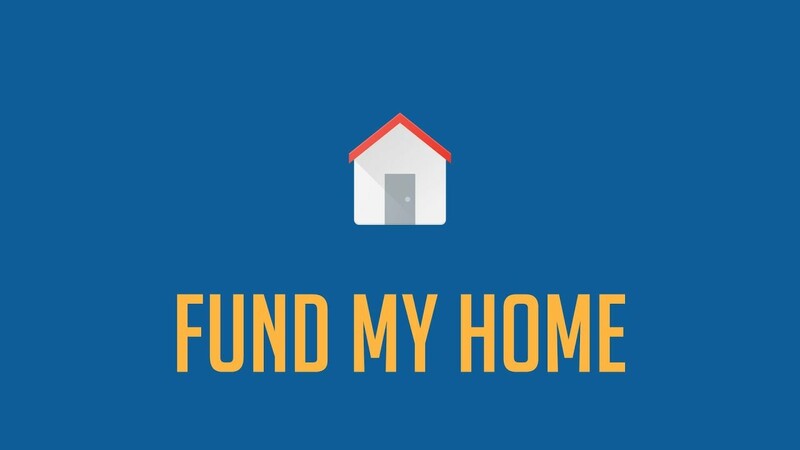 FundMyHome seems investment rather than home ownership is driven. This is because a lot of emphasis is placed on capital appreciation, though FMH says they discourage speculation with the 5 year lock-in period. Based on our analysis also, home ownership is even further away under the scheme at the end of the day (more tomorrow). The scheme is supposed to help first-time house buyers. We assume that these people have difficulty in getting a housing loan (the lower income group), otherwise, why the scheme. Remember the 2008 economic crisis brought about by the US sub-prime crisis? The assumption then was that the housing market would continue to appreciate. It did not. The complicated financing structures behind the whole shebang on was simply over-collateralisation of mortgages of people who were of not good credit standing.